The story of Mudjimba Island shared by elders, historians, poets, musicians and other community keepers of knowledge. Known locally as 'Old Woman Island', Mudjimba Island features prominently in the Dreamtime story of Coolum, it is the site of many a wonderful fisherman’s tales and its visible layers of soft, light-coloured sandstone date back to the Jurassic age (approximately 190 million years old). Storyplace – Mudjimba Island was launched in August 2017 as part of the 2017 Horizon Festival of Arts & Culture and was made possible through funding provided by Sunshine Coast Council. Traditional Custodian Brent Miller’s welcome for Storyplace – Mudjimba Island. 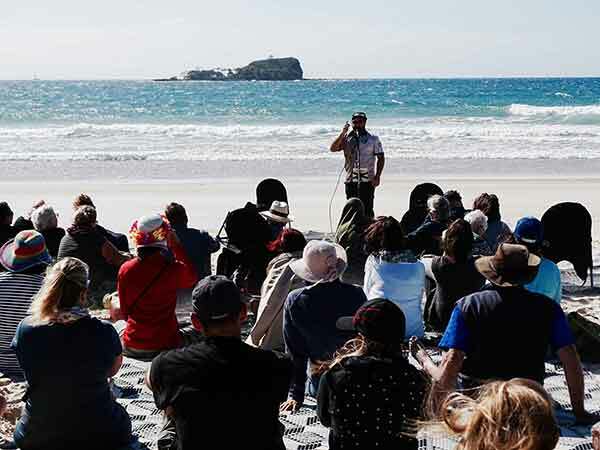 Traditional Custodian Brent Miller tells the story of Old Woman Island (Mudjimba Island). 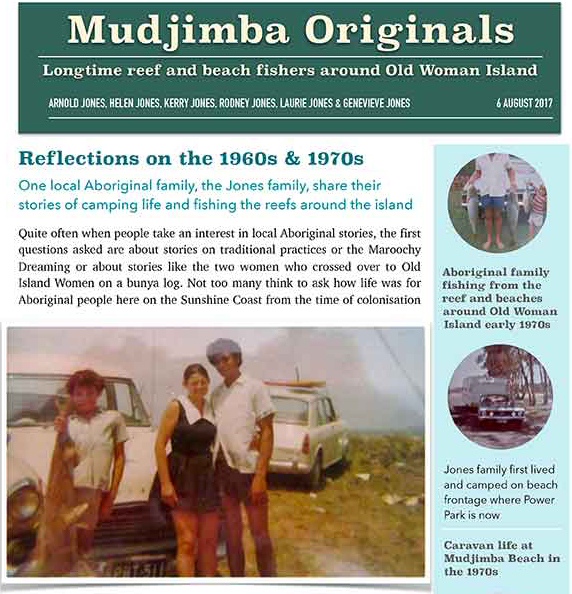 Traditional Custodian Brent Miller’s stories of his childhood around Mudjimba Island. 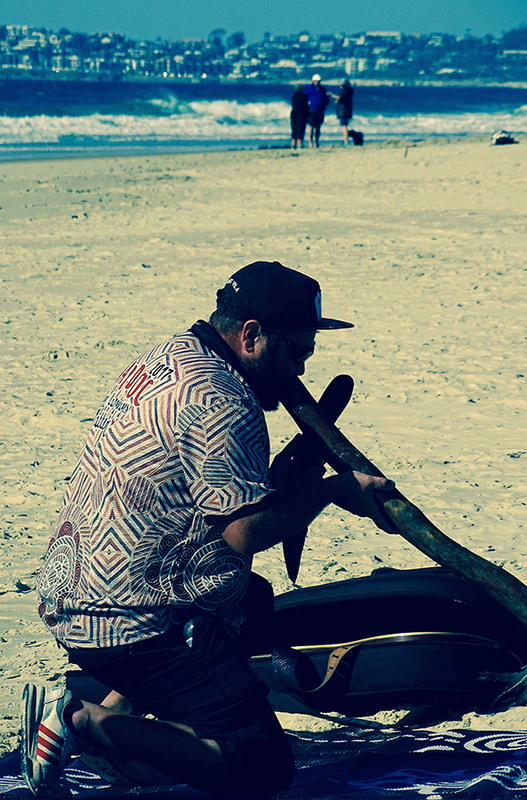 Traditional Custodian Brent Miller tells the Dreamtime story of Mudjimba Island. One local Aboriginal family, the Jones family, share their stories of camping life and fishing the reefs around the island. Franki Birrell was born in Melbourne, studied at RMIT, Melbourne and moved to Queensland in her late teens. 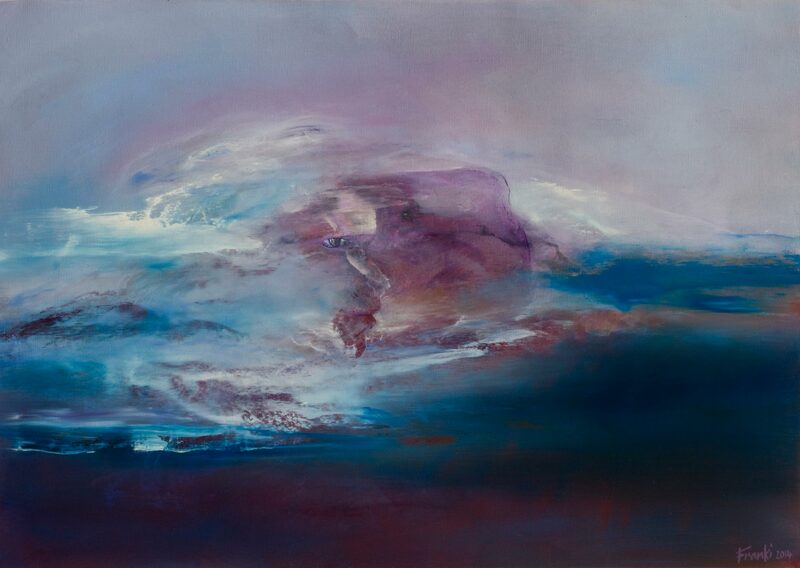 With a background in commercial and graphic art and art direction, Franki started painting in 1982. Her initial mediums were acrylic and charcoal but she began working with oils when the famous Australian artist Charles Blackman, a family friend, introduced her to other mediums. Having travelled widely, Franki has a deep empathy for the mythological stories of the countries she has visited, particularly the stories of Australia, Egypt and China. Captivated by the threads that connect them and the need for people to explain and interpret their origins in a spiritual sense, much of Franki’s work is landscape, overlaid with the figures and features of these myths … the unseen. Franki shares her story of her works and connection to Mudjimba Island.